Whether you’re a local here on Cape Cod, or spending a vacation or summer in this beautiful area, you’ll love the availability of oil changes here at our Hyannis, MA Nissan dealership serving Barnstable, Falmouth, Plymouth, Mashpee, and Bourne, as well as on Nantucket and Martha’s Vineyard. Getting the oil changed in your Nissan or another kind of car – yes, we serve vehicles of all different makes and models – is a smart way of keeping your ride healthy and happy for many more years and miles to come. Any time you need an oil change, swing on over to 322 Falmouth Rd, Hyannis, MA 02601 today. By using manufacturer-recommended motor oil for your Nissan or whatever kind of car you drive, you can be assured of the level of quality found at our service center here on Cape Cod. By following up on getting your oil changed at manufacturer-recommended mileage increments, you can make sure every part requiring lubrication and your engine are all up to speed, helping you to keep the resale value of your car closest to its peak. If you notice you’re reaching or have exceeded the recommended mileage amount for your next oil change and are in the area on vacation – or a local to Cape Cod and the surrounding areas – make a quick and easy service appointment here online, or by giving us a call at 508-771-3637. Along with getting your tires rotated, which is another great way of making your car last longer, you can save on our set of Basic Require Service options like oil changes, by using our service specials that we offer. 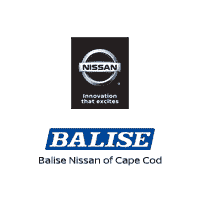 Keep your car happy with regular oil changes and sign up for your next appointment here at Balise Nissan of Cape Cod today.